PT Sawit Sumbermas Sarana Tbk. (SSMS) is a palm oil company with a mission to realize the full potential of palm oil. 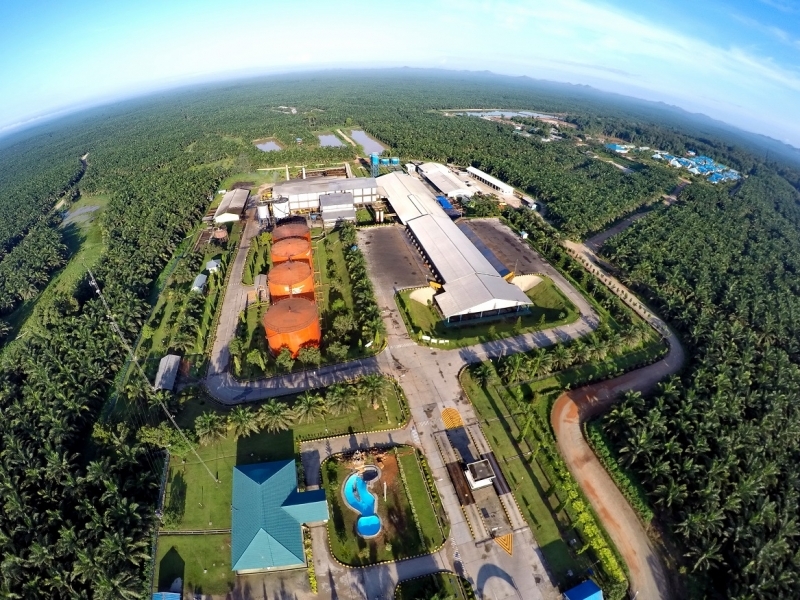 We manage an integrated business across 19 oil palm estates, six oil palm mills (PKS) and one palm kernel mill out of Pangkalan Bun, Central Kalimantan, Indonesia. We believe in the tremendous potential of palm oil and are optimistic about the crop’s place in the future. With the highest crop productivity and land-use efficiency compared to other crops, palm oil can be a crucial, and more environmentally-friendly, answer to address future surge of edible oil needs. At the same time, the palm oil industry has the potential to contribute significantly to fueling development in countries such as Indonesia, especially their rural communities. We therefore believe that palm oil companies, if they do the business right, can play a key role in sustaining the environment and providing for human needs at the same time. This is the role we aim to play. PT Sawit Sumbermas Sarana Tbk. 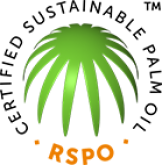 (SSMS) is a palm oil company based in Pangkalan Bun, Central Kalimantan, Indonesia. We envision ourselves as a world-class plantation company with a mission to realize the full potential of palm oil. Our belief in palm oil as a crucial answer to address future surge of edible oil needs, fuel national development and bring real benefits to communities and the environment is what motivates us. We thus operate all our plantations and mills in accordance with the industry’s best practices and sustainability standards. PT Sawit Sumbermas Sarana Tbk is publicly listed at Indonesia Stock Exchange since 2013. The public holds around 26% of the total company share. SSMS’ commitment towards good corporate governance principles ensures any business expansion conducted sustainably and responsibly. In 2016, our expansion and investment increased our total assets by 2.6% to Rp7.163 trillion. Meanwhile, the management is also taking the initiative to expand the company’s plantation by 10,000 hectares to 100,000 hectares, in line with the vision of growing the estates to a total of 150,000 hectares within the next five years. SSMS was established on 22 November 1995, in accordance with Notarial Deed No. 51 of the same date, and began its operation in 2005. SSMS became publicly listed in 2013 and has continued to grow its business ever since, including through a series of successful acquisitions such as those in 2015. On 22 November 1995, SSMS was established in Pangkalan Bun, Central Kalimantan. On 6 May 1999, PT Mitra Mendawai Sejahtera (MMS), a subsidiary of SSMS was established at Pangkalan Bun, Central Kalimantan. On 31 July 2002, PT Sawit Mandiri Lestari (SML), a subsidiary of SSMS was established at Pangkalan Bun, Central Kalimantan. On 17 March 2005, PT Ahmad Saleh Perkasa (ASP), a subsidiary of SSMS was established at Pangkalan Bun, Central Kalimantan. On 12 December 2013, SSMS has carried out the IPO (Initial Public Offering). SSMS acquired four plantations, namely PT Menteng Kencana Mas ("MKM"), PT Mirza Pratama Putra ("MPP"), PT Tanjung Sawit Abadi ("TSA") and PT Sawit Multi Utama ("SMU"). SSMS’s sustainable growth towards its vision to become a world-class plantation company requires a continuously improving strong workforce that delivers high quality results. SSMS, therefore, emphasizes its human resource development effort on comprehensive employee integration as well as targeted recruitment to deliver superior business performance. SSMS’s sustainable growth towards realizing its vision and mission requires a strong, continuously improving management and workforce who are able to deliver high quality results. We therefore emphasize our human resources development efforts on comprehensive employee integration as well as targeted recruitment to deliver superior business performance. The Board of Directors manages the company’s operations in accordance with good corporate governance principles, the industry’s best practices, and the highest sustainability standards. 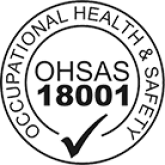 They lead SSMS in delivering added values for all stakeholders. Indonesian citizen aged 71, resident in Jakarta. President Commissioner of the Company since August 2016, in accordance with Deed of Shareholder Meeting No.21 dated 31 August, 2016 and made before Notary Public Dedy Pramono S.H., M.Kn. Bungaran Saragih has been involved in the palm oil plantation business for 45 years, as a Commissioner of PT Rea Kaltim Plantations since 2007, Chairman of Trustees of Borneo Orangutan Survival Foundation since 2006, and an Advisor to PT Japfa Comfeed Indonesia Tbk. since 2006. He was previously Chairman of Governors of the International Fund for Agricultural Development and Minister of Agriculture of the Republic of Indonesia. He holds a Masters Degree in Agronomy from the Agricultural Insitute of Bogor (IPB), a Master of Arts in Economics, Statistics and Business from North Carolina State University, and a Doctorate in Philosophy of Economics from North Carolina State University, USA. Indonesian citizen aged 73, resident in Jakarta. Independent Commissioner of the Company since August 2016, in accordance with Deed of Shareholder Meeting No.21 dated 31 August, 2016 and made before Notary Public Dedy Pramono S.H., M.Kn. Marzuki Usman has been involved in the palm oil plantation business for 46 years. He has been a member of the Board of Advisors of the Islamic Studies Center of Duke University since 2006, and was previously a Senior Advisor at Rama Assurance, an Advisor at PT Moores Rowland Indonesia, an Advisor at PT Grant Thornton Indonesia, President Commissioner of PT Bursa Berjangka Jakarta, President Commissioner of PT PP. London Sumatra Tbk., and President Commissioner of PT Piesta Dinamia Consult. He also served as Minister of Forestry of the Republic of Indonesia. He holds a Masters degree in Economics from Gadjah Mada University and a Master of Arts in Economics from Duke University, USA. Indonesian citizen aged 49, resident in Jakarta. A Commissioner of the Company since August 2016, in accordance with Deed of Shareholder Meeting No.21 dated 31 August, 2016 and made before Notary Public Dedy Pramono S.H., M.Kn. 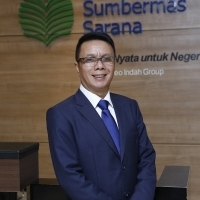 Rimbun Situmorang previously served as Chief Executive Officer of the Company between 2013 and 2016. He currently holds a number of positions, including President Director of PT Citra Borneo Indah (2011- present), President Commissioner of PT Kalimantan Sawit Abadi (2011- present) and of PT Sawit Multi Utama (2009- present). He previously served as a Director of PT Ahmad Saleh Perkasa (2009-2011), Commissioner of PT Sawit Multi Utama (2009- 2011), Director of PT Tanjung Sawit Abadi (2009- 2011), Director of PT Sawit Mandiri Lestari (2005-2007), Director of PT Sawit Multi Utama (2005- 2007), Director of PT CBI (2005- 2007), Director of PT KSA (2005-2007), Director of the Company (2005- 2007), Director of PT Tanjung Sawit Abadi (2005- 2007), Director of PT Mitra Mendawai Sejati (2005-2007), Commissioner of PT CBI (2000-2003), Marketing Manager at PT Mendawai Putra (1997-1999), Head of Commerce PT Barito Putra Nirwana (1994- 1997), and Forestry & Shipping Staff PT Rimba Karya Kalimantan (1992-1994). He received a Bachelors degree from Institut Teknologi Tumpal Dorianus Pardede in 1989. Indonesian Citizen, he began his career as Assistant Accountant for State Finance and Development Supervision Board (1983-1986); Accountant for the Finance Ministry of the Republic of Indonesia (1990-1994); and was subsequently assigned by the Finance Ministry of the Republic of Indonesia to serve as Investment Banking Director of PT Danareksa Sekuritas (1994-2001). 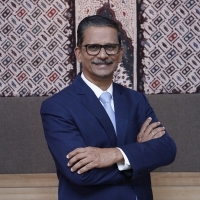 Subsequently, he served as Investment Banking Director of PT Bahana Securities (2001-2003), and President Director of PT Bahana Securities (2003-2006). He once held the position as President Director at Indonesia Stock Exchange period 2009-2012 and period 2012-2015. As a commissioner Indpendent at PT Sarimelati Kencana Tbk (2016 - now), Commissioner at PT Pelabuhan Indonesia Investama (2017 – now), Audit Committee Member at The Financial Services Authority (OJK) (2018 - now). He is actively involved in the Indonesian Accountants Association (IAI) as a member of the National Governing Board. He graduated as an Accountant from the State College of Accounting in Jakarta (1989); and he holds a Master of Business Administration from Harvard Business School, Boston, US (1994). Malaysian citizen, 62 years of age, resident in Pangkalan Bun. Chief Executive Officer of the Company since August 2016, in accordance with Deed of Shareholder Meeting No.21 dated 31 August, 2016 and made before Notary Public Dedy Pramono S.H., M.Kn. He was previously a Director and Chief Operating Officer of the Company between 2013 and 2016. He has held a number of positions, including Regional Head PT Citra Borneo Indah (2007-2012), Senior Manager/ Acting Plantations Controller IJM Plantations Malaysia (2001-2007), Executive Director Domba Mas Group (2000-2001), Senior Plantations Manager IJM Plantations Malaysia (1995-2000), Plantation Manager Asian Agri GROUP (1992- 1995), Plantation Manager Hap Seng Consolidated Berhad, Sabah Malaysia (1986-1989), Plantation Manager Kemayan Oil Palm Berhad, Sabah Malaysia (1986-1989) and Assistant Manager Kemayan Oil Palm Berhad, Sabah Malaysia (1980-1985). He recieved a Higher National Diploma in Management in 1986 from the Institute of Supervisory Management, United Kingdom. .
Indonesian citizen, 45 years of age, resident in Pangkalan Bun. A Director of the Company since August 2016, in accordance with Deed of Shareholder Meeting No.21 dated 31 August, 2016 and made before Notary Public Dedy Pramono S.H., M.Kn. He is also a Director of PT Kalimantan Sawit Abadi and a Commissioner of PT Tanjung Sawit Abadi since December 2013, and has been a Director of PT Citra Borneo Utama since March 2013 to the present. He previously served as Commercial Director of PT Citra Borneo Indah (2011- 2013), Commercial Manager - Oleochemicals at PT Bakrie Plantation Tbk. (2010-2011), Commercial Manager at PT Flora Sawita Chemindo - Oleochemical Industry (2006- 2010), Sales & Marketing Superintendent at PT Flora Sawita Chemindo - Oleochemical Industry (2002-2006), Project Officer at PT Hamparan Pancaran Chemindo, Soap Noodle Plant Construction Project - PT Flora Sawita Chemindo (2001-2002), Management Representative QMS - ISO 9002 at PT Flora Sawita Chemindo (2000-2001), Senior Supervisor - Quality Assurance at PT Flora Sawita Chemindo (1997-2000), Supervisor - Quality Assurance & Research Development at PT Sinar Oleochemical International (1994-1997) and Laboratory QC Analyst at PT Inti Indorayon Utama, Pulp & Rayon Industry (1993- 1994). He received a Bachelors degree in Chemistry from Universitas Sumatera Utara and an MSc. from the Jakarta Institute of Management Studies (JIMS) in 1999. British citizen, 50 years of age, domiciled in Pangkalan Bun. Independent Director of the Company since December 2016, in accordance with Deed of Shareholder Meeting No.07 dated 14 December, 2016 and made before Notary Public Dedy Pramono S.H., M.Kn. 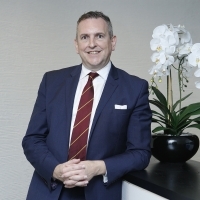 Mr. Whittle possesses an extensive background in corporate finance and financial management. Prior to joining the Company, between 2011 and 2016 he served as an Independent Consultant to: PT. Capital Inc. Tbk., a listed energy provider in Jakarta - International investment structuring and placement; Siam Cement Consortium - Feasibility Study for Underground Coal Gas; CSG Boremaster - Investment proposal and financial modeling; PT ODG Indonesia - due diligence of acquisition candidate in Papua New Guinea; Robust Resources Ltd. - Due Diligence of operating and acquisition projects; and PT Surya Semesta Internusa Tbk. - International investor relations projects. Between 2006 and 2011 he served as Chief Financial Officer of Hot-Hed International S.A., from 2001 to 2005 as a Technical Advisor to the Indonesian Bank Restructuring Agency (2001-2005), and as Senior Mergers & Acquisitions Advisor at PT Kim Eng Securities (1999-2001). He holds both a BA and MA in Oriental Studies (Japanese) from the University of Cambridge and an MBA from the Graduate School of Business at Columbia University, New York. Malaysian Citizen, resident in Pangkalan Bun. He become a Director of the Company since April 2018, in accordance with Deed of Annual of General Meeting of Shareholders No. 12 dated April 26, 2018 and made before Notary Public Dedy Syamri S.H. He began his career at PT Sawit Sumbermas Sarana Tbk, as General Manager in Suayap Regional 3 (2009-2013); as Regional Head II (2011-2013), subsequently as Regional Head I (2013-2017). He previously served as Senior Manager at PT Tanjung Lingga (Rangda Estate) (2007-2008), as Division Manager at IJM Plantation Benhard (Mamahat Estate) (2003-2006), and IJM Plantation Benhard (Sg. Sabang Estate) (2002-2003). He was once an acting Manager at Tabung Haji Plantation (Ladang Bukit Gold) (1999-2001), as Senior Assistant at Tabung Haji Plantation (Sabaco Estate) and as Cadet Planter to Senior Assistant di IJM Plantation Sdn.Bhd (Desa Talisai Estate) (1995-19996). He graduated from Mara University of Technology (UITM), Malaysia. He has various certifications such as Human Resources Management Profesional (CHRMP) Certification (2017), Soils Management Course Presented dari Dr. Paramathan (Tawau) Certification (2006), Affiliate Society of Planters Sabah North-East Branch Certification (2002), Soils Management Course Presented from Dr. Paramathan (Tawau) Certification (1996), Management Course on Malaysia Institute of Management Certification (1996) and International Institute of Management (Unit of Asian Community Service Centre, Madras, India) from Dr. John Williams B.S.,B.L.,D.S.S,PH. D,(USA) (1992). Swasti Kartikaningtyas was appointed as Head Corporate Secretary of PT Sawit Sumbermas Sarana Tbk on 21 July 2017. She joined from CIMB Sekuritas Indonesia, where she had been a Head Corporate Secretary since 2014, managing Company Corporate Governance including the Integrated Corporate Governance of CIMB Group in Indonesia. Before that, Swasti also held the position as Head Corporate Secretary in PT Maybank Kim Eng Securities, handling corporate legal and corporate affairs of a securities company in 2013. Not only has she had extensive experience in capital market, corporate governance and share listing across a range of companies, she also broadened up her knowledge of Life Insurance industry as she was the Group Corporate Secretary of Sun Life Financial in Indonesia from 2011 to 2013. Whilst her early career was started in a law firm as an associate lawyer from 2004 to 2007 and further continued as head of Legal and Corporate Communication Unit in PT Kliring Penjaminan Efek Indonesia from 2007 to 2011. She holds a bachelor of law degree from Universitas Indonesia in 2004 and further continued her post-graduate study of Commercial Law from University of Edinburgh by Chevening Scholarship in 2010. As a Company that upholds accountability and responsibility principles, SSMS recognizes the importance of Committees which serves to assist the monitoring performance undertaken by the Board of Commissioners, as well as to assist the performance of the Board of Directors. Currently SSMS has an Audit Committee consisting of an Independent Commissioners as Chairman and member, also supported by two professionals, which are Mr. Zulfitry Ramdan and Mr. Wahyudi Susanto. For the future, SSMS will establish the Nomination and Remuneration Committee and the Business Development and Risk Management Committee. These committees are expected to assist and provide views as well as direction in the corridor of SSMS business implementation. PT Sawit Sumbemas Sarana was established on 22 November 1995 in accordance with Notarial Deed No. 51 of 22 November 1995. The Notarial Deed was made before Notary Public Enimarya Agoes Suwarko, S.H., approved by the Minister of Justice and Human Rights of the Republic of Indonesia by Decision Letter No. C2-8176.HT.01.01.TH.96 of 26 July 1996, and published in Republic of Indonesia Gazette No. 839, Addendum No. 36 of 22 February 2011. The Company began its operation in 2005. Considering the Company's rapid growth, we strive to strengthen our commitment to implementation of the principles of Good Corporate Governance (GCG) in all aspects of the business. Such principles are the universal founding principles of GCG: transparency, responsibility, accountability, independence, and fairness. At this point, SSMS’s business practices always breath sustainability policy as corporate strategy and business success to balance environmental management, social progress and economic success to benefit all our stakeholders. From the point of view of their implementation, the Company refers to Law No.8/1995 re. the Capital Markets, and Law No.40/2007 re. Limited Liability Companies; Indonesian Investment Board Regulations; Financial Services Authority Regulations; Indonesian Stock Exchange Regulations; and the General Guidance for GCG released by the National Committee for Governance Policy. SSMS maintains an internal control system to ensure that all of its activities are in accordance with the principles of good corporate governance and conform with current laws and regulations. To ensure effective implementation, the company has several charters to strengthen oversight and application of comprehensive internal control.